Find out World Cup Winner before it actually happens? Imagine if you could Find out World Cup Winner before it actually happens? 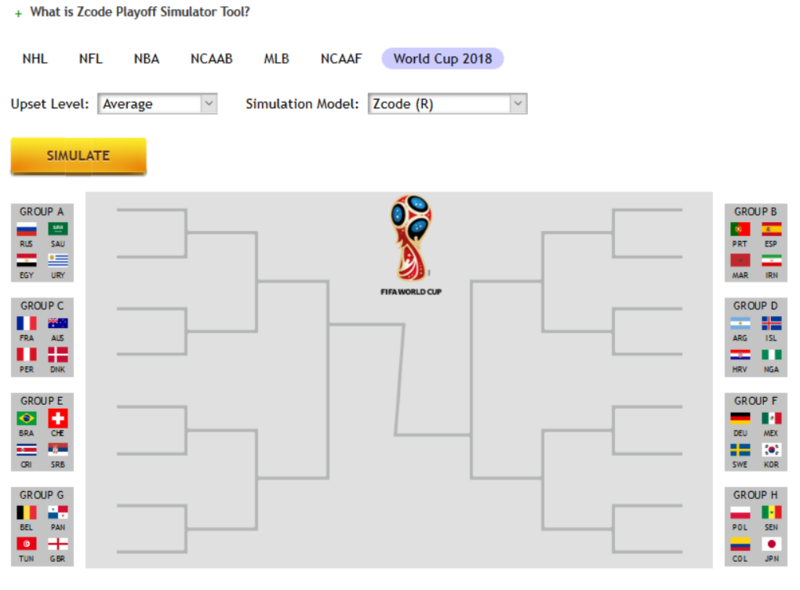 here is one of the cool tools our team developed, it’s called playoff simulator and it works on all sports not just football. Playoff Simulator is using advanced prediction formula that takes into account 80+ parameters, optimized on the historical data to perform 10,000 simulations of the game and predict the anticipated playoff brackets and the series winners. The closer we are to playoff the more accurate it gets! Enjoy!